Roulette is certainly still at the heart of casino life for most people, whether they’re playing at a land based or online casino. Anyone who has ventured into a casino, has seen the hordes of people gathered around the roulette wheel, enjoying the acton as the ball races round the wheel. 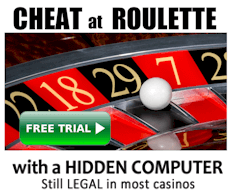 This is also the case for anyone who has strolled into a betting shop and seen the overused in-store gaming machines with their various versions of Roulette popped-up and, of course, it’s just as popular at online and live casinos too. So what is it about the game that keeps people so intrigued and just how has it stood the test of time and remained one of the best? First of all, learning how to play is pretty simple, you can literally pick up the basics of the game within a couple of minutes. When you compare this to other casino favorites such as Blackjack and Poker, where there’s a significant degree of learning and skill involved; you can certainly see why roulette has the edge. 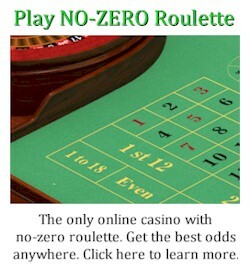 Players are able to enjoy the thrill of the gamble when playing Roulette as it quite intuitive and easy to understand. It’s a great pick up and play game and this, arguably, is one of the key reasons that it’s still the best around. 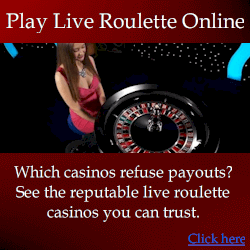 Roulette has a great social aspect to it as well, something that has helped it traverse into the 21st Century. People often talk around a roulette wheel at any casino as it is a perfect environment to interact with other players. This is mainly because it is a game, like Craps, where the player isn’t playing against anyone else except the house, meaning that there’s no rivalry involved with fellow players. When a game encourages people to socialise, it tends to make the whole experience more fun and enjoyable and keeps people coming back for more. Of course, you can’t mention roulette and talk about how great it is, without mentioning what actually makes it so exciting, and that’s the wheel. The game is gripping in the sense that everything is centered around the spinning of the wheel and where the little white ball is going to end up. No other casino game in the world can draw players in as effectively, where the enjoyment of the drama and the suspense that comes with the spin of a roulette wheel, can keep people transfixed, especially if there’s big money at stake. Even mobile and online casinos manage to keep this same suspense, hence the success of live casinos, and almost all reputable online casino brands, according to the team at Mr Spin, will always endeavor to include at least one variety of roulette as part of their service. Its pick up and play aspect, as mentioned above, certainly suits the direction the online casino industry seems to be taking too. Nowadays people are spending more time gaming on their smartphones and tablets than they are playing at a land based casino or on a desktop. Roulette works superbly in mobile format because of its simplicity; and it’s just one of those games people can get stuck into in a couple of minutes. The rules are straightforward and winning is a random process (despite what anyone quoting game plans might tell you). Furthermore, the game is quick, so that even a punter on his/her daily commute; could be playing in a matter of seconds and hopefully collecting huge cash winnings! Therefore, while new games may come and go, roulette will remain one of the best and most popular casino games for many years to come. Its simplicity in the fact people can just play the game without learning any rules or strategies, whilst enjoying the banter and camaraderie around the table, means it has an almost timeless presence in the gaming world. Of course some naysayers will argue that blackjack is the best game at a casino, but for those of us who prefer a purer game and quicker ride, the roulette wheel will always hold our heart. Long may the wheels keep on spinning.